I’ve recently been nominated for two blog awards!! 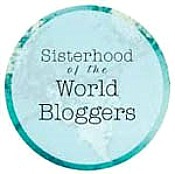 I would like to thank Nathalie, a great photographer over at LeDot, for the nomination of the “Sisterhood of the World Bloggers” Award. I’m honored to be among other ladies who have received this recognition! 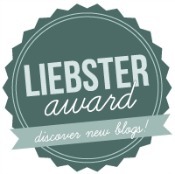 I’m also honored to be nominated for the Liebster Award for a second time by Ines over at Imonnetphoto! Photo Credit: Skylar DeJohn, My Wedding Photographer! How/Why did you become interested in photography? I became interested in photography when my husband and I were searching for a wedding photographer. When I thought about wedding photos, I thought about the classic style (indoors on a church alter with typical groupings). I was blown away when I saw photos that were un-canned (the editorial photos of brides preparing for the ceremony, beautiful photos in outdoor settings, funny and carefree photos with the wedding party, etc.). Also, it was a pleasure working with my photographer, Skylar DeJohn! We had a beach themed wedding and I loved how our photos turned out (one of my favorites being the photo featured above)! After my wedding, I was curious about photography and decided to give it a try. What’s the first photo you published on your blog? When I started a blog, it wasn’t really to start a blog. Let me explain…when I was a beginner in photography, I enjoyed a website that held weekly photo challenges. It helped me to be creative and encouraged me to learn different techniques for shooting. Unfortunately, the website temporarily suspended the weekly challenges and I needed a new source for challenge photos. After searching around, I only found one that I really liked…the Daily Post’s Photo Challenge. I was excited to find a cool new site for weekly challenges…YEAH! However, there was one tiny problem…I didn’t have a blog to participate. So, I created “The Girl Who Clicked” and have enjoyed participating in the challenges ever since. The photo above was included in my first blog post. Do you photograph mostly to document moments or to be creative? I mostly want to be creative when I shoot, but I increasingly find myself documenting moments as well. What’s your favorite time of the day to take photos? I wouldn’t say that I have a favorite time of day to take photos, but I typically shoot around midday. Where do you get inspiration to photograph? Just about everywhere, but especially from photo related websites and photo challenges like Capture Your 365. If you could spend a day with a famous photographer who would it be? What was your last purchase photography related? My last photography purchase was a new 50mm lens. My first 50mm lens was damaged and I opted to buy a new one rather than repairing the old one. Do you have a camera bag? Yes, a small Crampler bag. Understanding Exposure by Bryan Peterson! It’s a great introduction to photography and I still reference it from time to time as a refresher. Sadly, no. With it being so easy to store digital images, it hadn’t crossed my mind. Thank you for asking this question…I definitely want to create a photo book now. Thank you again Nathalie and Ines! You should definitely do a photo book, I love to print photos and make albums!